Shortly after Google acquired smartphone company, Nest, the thermostat and smoke alarm maker announced a “Works with Nest” program that would enable all sorts of smart products to interact with those made by Nest. Of course, the most obvious partner in this program is Google. In the announcement, Nest noted that this “Fall” we would be able to say to our phones, “OK, Google, set the temperature to 72 degrees,” or something along those lines and watch as our Nest changed temperatures. While we have yet to see this integration fully appear, it does look as though we are about one step away from it becoming a reality. 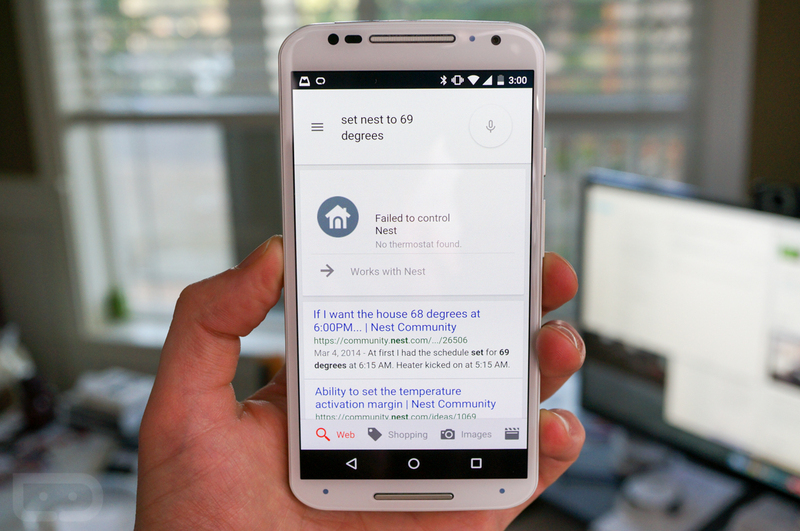 A reader of ours (and confirmed by us) noticed that if you tell Google to set the temperature on your Nest (“set Nest to 68 degrees”), it tries to complete the task. It fails initially, but that’s because it needs you to authorize your Google account to work with Nest, so there is an option to opt-in accompanying the failure notice (the “Works with Nest” button). Unfortunately, this authorization step is the one that needs to go live from Google in order for all of this to work. 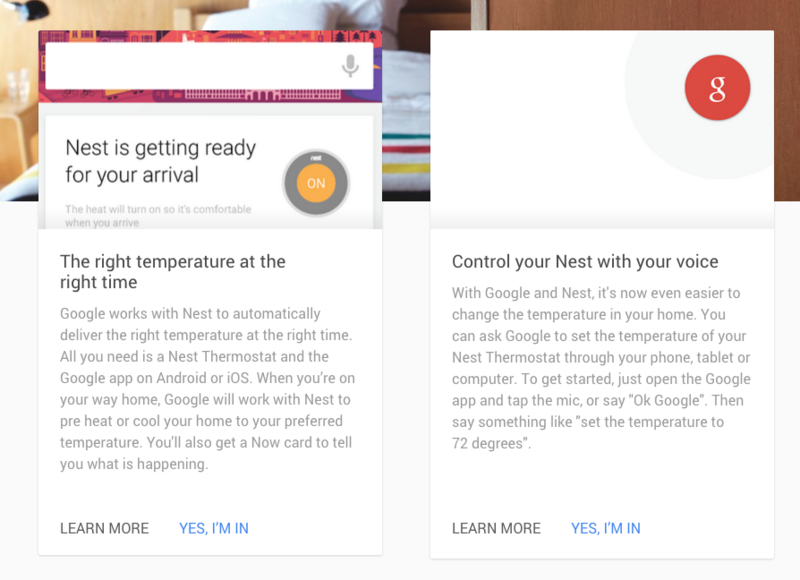 As you can see below, Google and Nest have a page setup already for this action to take place, but when you tap on “Yes, I’m in,” it redirects to a page that is not quite live yet. And actually, there are two integrations that we will soon see – one for simply setting the temperature, and another that will recognize that you are on your way home, so that it can set your preferred temperature. This action will be accompanied by a Google Now card. So again, we aren’t quite there yet, but we are oh so close.